Dear Parents: You aren’t alone. Among families with learning disabilities, gifted needs, or other special needs, it seems nearly everyone has had a no-good, very bad year. Sometimes more than one year. Perhaps your child was excluded by peers, or perhaps he or she just had trouble making friends. Perhaps he or she has a disability, and at the time, no one knew. Perhaps symptoms were misinterpreted as bad behavior, and everyone was frustrated. Perhaps there was unkind treatment by other children, or, though rare, by an educator. If your child is identified as gifted, especially in a special population, perhaps his characteristics and needs were misinterpreted and/or not considered in his/her work level. Perhaps her degree of need was discovered because of underachievement, perfectionism, anxiety, or negative behavior. Perhaps your child has a diagnosis that isn’t well understood, or you discover disagreement between experts. Perhaps it’s difficult for educators and specialists to keep up with changing research on your child’s diagnosis. Perhaps your voice, as a parent, was not heard. A bad school year is hard on a child’s entire family. Unlike the routine bumps in the book Alexander and the Terrible, Horrible, No Good, Very Bad Day, a hard school year can have a lasting impact on a child, and sometimes, on parents. From my experience connecting with parents and assisting with parent workshops, below are some parent-to-parent thoughts to consider. If a child shows signs of possible depression or anxiety, do not hesitate to get help. If a child’s arm looks broken, parents get X-rays; if a child seems to have a mental health need, please talk to a professional. Though parents worry about misdiagnosis, and in the case of gifted children, intensity can be mistaken for other diagnoses – if your child’s happiness and quality of life are decreasing, or if you see other warning signs of depression, don’t wait. In teens, professionals say that signs can be easy to miss, and it’s a good idea in general to learn about the social and emotional wellness of children and teens. If parents experience anxiety themselves, they should not be embarrassed to get help, either. Dealing with a child’s special needs and school advocacy are incredibly stressful experiences for anyone. Some counselors and psychologists have experience in advising and counseling parents of children with special needs, including gifted needs. For gifted needs, Gifted Homeschoolers Forum, Hoagies Gifted Education Page, and SENG (Supporting the Emotional Needs of the Gifted) each maintains a list of mental health professionals. Additional counselors and psychologists with expertise in your family’s specific challenges may be available in your area. Numerous online and local groups support families with all types of special needs and learning differences. While reaching out can be frightening, other parents can be wonderful sources of tips and resources targeted to your child’s specific challenges and interests. Some online communities offer closed discussion groups for increased privacy, and many communities offer local support groups for a variety of special needs. Your child, too, may benefit from connecting with others who share his or her experiences. Consider checking locally for museum or movie theater events for special needs, such as “sensory-friendly” days or screenings. For children with high-ability needs, local enrichment courses may offer a chance to meet intellectual peers and explore their areas of passion (one mission of the teachers who founded NuMinds Enrichment and this blog). Beware of using the word “fight” in connection with school needs! Solutions to school challenges require listening, learning, positive communication, and collaboration. Learn what you can about your child’s diagnosis and specific needs, and seek additional evaluations if you feel they are warranted. Share your child’s story with future teachers, and search for advice about positive advocacy. If you find yourself facing a roadblock, the book Getting to Yes offers negotiation guidance that prioritizes preserving relationships (critical in schools) and may help in addressing everyone’s concerns. A wise teacher friend once said: “remember, nobody goes into teaching for the fabulous pay.” Educators have stressful jobs, and bad years can result from miscommunication or factors outside their knowledge or control. The vast majority of educators work long, hard hours, love children, and dedicate their lives to doing the best they can to teach every single student in their classes. They worry about their students at night and on weekends, and for years after their students leave their classes. Once a parent makes a connection with even one teacher who truly understands their child, that teacher can be one of the most important advocates in a child’s education. Learn about the challenges facing teachers, work to help them, and let them know how much you appreciate their care for your child. The experiences of parents and children can drive lasting, positive change to help others, and activism can help with both existential stress and situational stress. Consider getting involved with a nonprofit dedicated to your child’s needs. Your child may even wish to help make things better for other children like himself/herself, or may discover a passion for helping people suffering from greater trauma, such as refugees. Though it is little comfort right after a traumatic year, in the long run, difficult years can result in better understanding of a child’s needs. Challenges in school can lead to diagnoses and knowledge about modifications and accommodations that can make future years – including a child’s high school, college, and career experiences – far easier. A “no-good year” can also provide an opportunity to help children and teens overcome absolute, all-or-nothing thinking. While some memories may seem irredeemable, recalling positive experiences from the same year may help provide perspective. Remember the P.E. teacher who went out of her way to say something positive, or that one classmate who watched out for your child? Even in times of fear and disaster, as Mr. Rogers wisely advised, looking for the helpers can help us maintain hope. You may see it in her face after encouragement from a summer camp counselor, or when she gets a hug from next year’s school or enrichment teacher, who will love her. You may hear it when he sees mountains for the first time, builds a sand castle on the beach, or visits a museum exhibit about his passion. You may decide to create it with a mom-and-me (or dad-and-me) date or with a camping trip. Seeking opportunities to experience joy can help with healing, not only for your child, but for your family. Hang in there, take care of yourself, and give your child a big hug. We’re all in this together. Kids are resilient, and your child has the best possible advocate in his or her corner: you. When a child or parent first enters your classroom after a hard year, they may be carrying baggage. Negative experiences at school can be terrifying for both children and parents. In difficult situations, please try to see things from the perspectives of students and their parents. Please seek advice from a school specialist if a situation is confusing, or if it upsets the student or parents. If you find yourself frustrated with a student, please search for causes and solutions rather than blaming the student or dismissing a parent’s concerns. Yes, we all know some parents are easier than others, but they can bring information needed for their children to succeed. Take a deep breath, be patient, try to learn more, and seek help. Remember: each parent trusts you with the most important person in his or her universe, and a single teacher can make the greatest positive difference in the life of a vulnerable child. Please be that teacher. Our blog is proud to participate in Gifted Homeschoolers Forum blog hops! 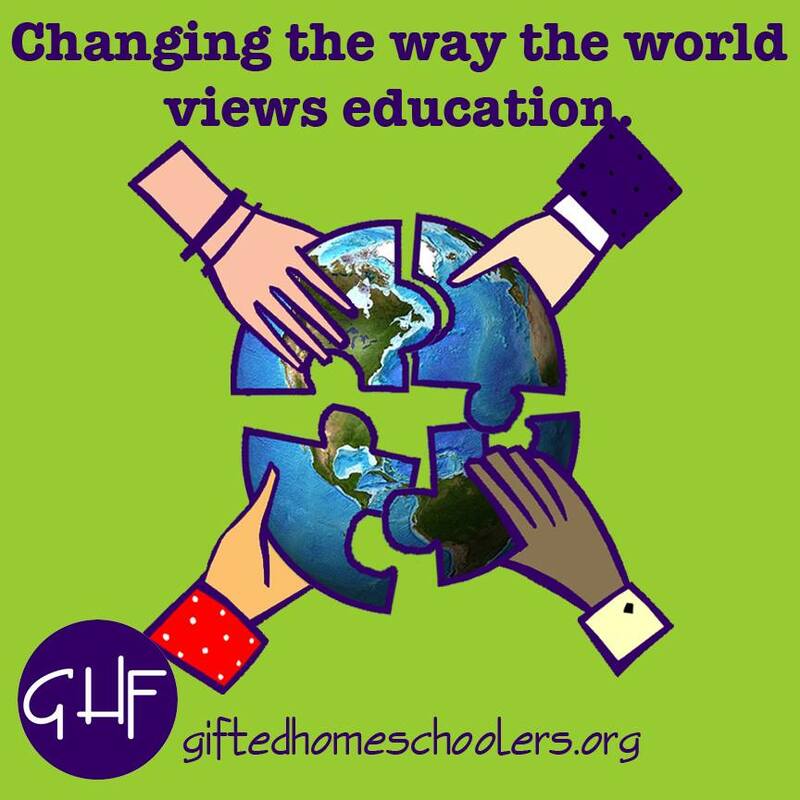 For more posts, please visit the March 2017 GHF blog hop about The Difficulties of Being Gifted. Disclaimer: This post is not medical advice. As noted above, please seek professional guidance regarding any mental health or behavioral concerns. Very good points! Especially the ones about connecting with other parents/children – our gifted kids are often lonely in this journey. Very helpful, thanks! Lots of good ideas and resources here, Emily. It’s always gratifying to read what you have to say! These are really good points. Very clearly and compassionately outlined. I also really like your advice to teachers – a reminder to recognize the battle scars students and parents may have as they start back at school.